Rain gardens are an attractive solution to managing rainwater onsite and protecting local waterways. EarthCorps staff can assist you with the design, construction, and maintenance of your rain garden. Based on your goals and the characteristics of your property, we will help you determine the best location, select appropriate plants and discuss best practices for the maintenance of your rain garden to ensure it not only functions, but also aesthetically enhances your property. 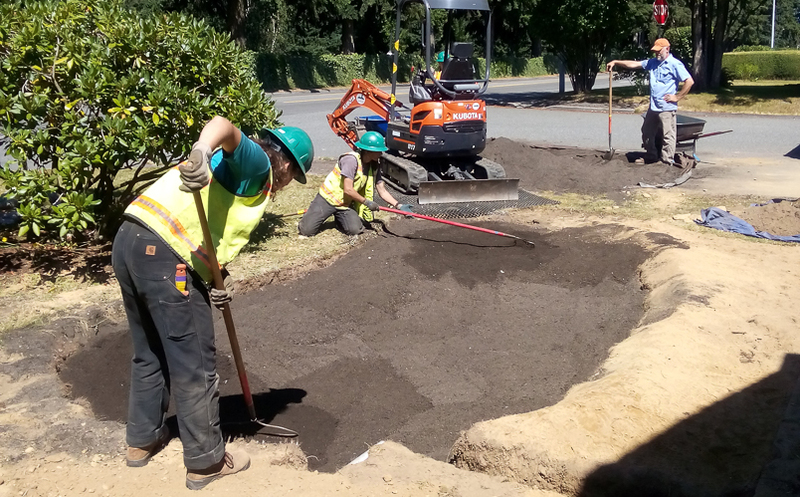 In addition, EarthCorps can also assist homeowner associations, municipalities, and groups of neighbors to cost effectively manage the operations and maintenance of their rain gardens. This may include weeding & pruning, supplemental planting, re-mulching, drainage cleaning, and reporting.